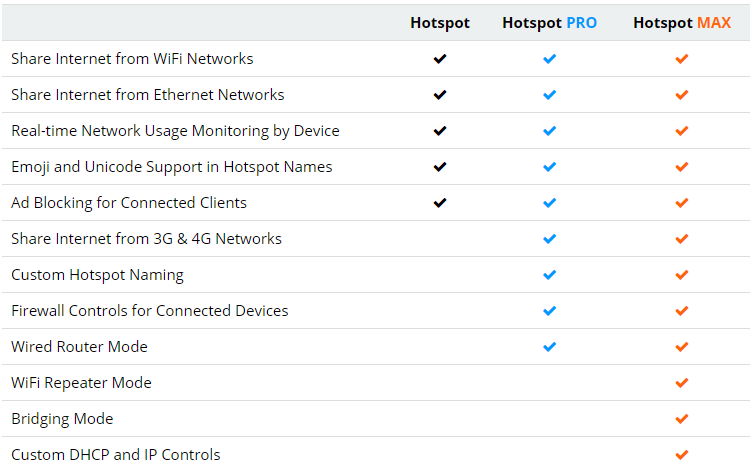 Connectify Hotspot PRO gives you all the features necessary to run a basic Hotspot without interruption, and share WiFi with all your devices. However, many users prefer to upgrade to Connectify Hotspot MAX offering to take advantage of extended features like Bridging Mode, WiFi Repeater Mode, and custom DHCP and IP controls. See below and compare for yourself!